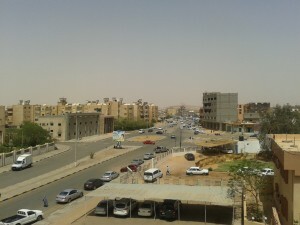 Tribal fighting has continued in Sebha for the fourth day with at least 15 people now killed and more than 35 wounded. The conflict between the Awlad Suleiman and the Qaddadfa tribes paused briefly this morning when a two-hour ceasefire was agreed. However, shooting resumed well before the period elapsed. The fighting, which has focused on the Al-Minshiya and Al-Mahdiya areas, apparently started for reasons bordering on the absurd. A group of young girls complained that they had been harrassed by a pet money kept outside a shop owned by a member of the Qaddadfa tribe. It had apparently grabbed at the scarf of one of the girls. Her relatives, members of the Awlad Sulaiman, then went to the shop, killed the monkey and then the owner. According local, the monkey harassed anyone passing, regardless of tribal identity. As a result of the resulting clashes, families have been seeking to quit other areas of the town as the fire fights moved around. Inhabitants confined to their homes by the battles reported properties shaking as heavy mortars and a tank cannon were fired as well as a heavy calibre DShKM (Dushka) machine gun. Sebha Medical Center called in all its staff to help with what it said was a state of emergency as more and more dead and injured were brought in. A spokesman warned that the hospital no longer had the medication nor the staff to deal with a crisis of this size. Until this summer the Misratan Third Force militia had been present in the town in an attempt to keep the peace. It was based at the old People’s Congress building and the town’s airport and military airfield. But much of this unit was withdrawn in July to boost Bunyan Marsous forces in their drive against IS in Sirte. Beida local government minister Mohamed Farouk Al-Mahdi yesterday appealed for calm and asked town elders to broker s ceasefire. He warned “ The only loser in this fighting is Libya. It must stop for the sake of our young people”. There are unconfirmed reports that the fighting began after a monkey owned by one tribal member bit a a rival tribesman. The rivalry between the Awlad Suleiman and the Qaddadfa runs deep, with latter being the tribe from which the Qaddafi family come. In 2015 after a Tripoli court sentenced Saif Qaddafi to death, there were violent demonstrations in Sebha with the old regime’s green flag being draped from many buildings.